Despite a growing technology industry here in Southern California, local investors and entrepreneurs tell us there's still a shortage of local, venture capital. In particular, funding for companies developing deep technology--software and cloud, as opposed to content and media--seems to be lacking. However, the newest venture capital fund in the area TenOneTen Ventures (tenoneten.net), headed up by David Waxman and Gil Elbaz, is hoping to change that, by focusing its efforts on technology-focused startups here. Both Waxman and Elbaz are serial entrepreneurs, with many successes under their belt (Elbaz with Applied Semantics, which he sold to Google, Waxman with such companies as Firefly Networks, SpotRunner, and PeoplePC). 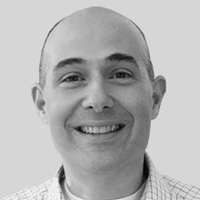 We spoke with David Waxman, who is the operating partner for the fund and focused full time on the new fund (Elbaz is full time on his data startup, Factual, and according to Waxman, Elbaz has his first, second, and third priority on Factual and not the fund). How did the new fund come about? David Waxman. : The two of us are both longtime founders, first, before being investors. We saw an extraordinary opportunity, in general, and in LA in particular, to really focus in on technology in Los Angeles. There is a really genuine and real opportunity in the intersection of media and entertainment technology here in Los Angeles, and people are focused here on that for a legitimate reason. But, we felt that there was an opportunity to tap into some of the resources in Los Angeles for companies focused on the straight technology area, as a source of new companies. That's the reason we developed our own positioning there. Explain what kinds of investments TenOneTen makes or hopes to make? David Waxman: We've been making investments since the beginning of the year. The majority of them are in Los Angeles, but not excusively. We're essentially being proactive with everything we're looking at in LA, and reacting to anything we see from out of town, where people approach us. Our investments include companies in the search technology space, such as SRCH2, which is one of our early investments. We also have investments in Divshot, which is offering a tool for engineers, which is based out of the Launchpad LA accelerator. We also did a company in Northern California, Weoutta, which is a consumer app for making future plans, which is built on top of a pretty robust data platform. We are also in another company, Vurb, which is also a consumer app with a pretty solid data foundation. We are looking for people using data in really smart ways, and hopefully who are solving big, important problems. I think people throw around the word “big data” a lot, and it means different things to different people, but what's interesting for me is using data to tackle some really big problems, much more smartly. Healthcare is a really obvious vertical, where there is data inefficiency and a tremendous amount of opportunity, but there's also education, human capital and talent. There are many big, big spaces where there is data to be explored, and if you could harness that, it could make some revolutionary changes. What do you see in the technology area that made you want to focus there? David Waxman: Los Angeles is a tremendous hotbed of creativity, and there's so much potential. We have a lot of world class universities here. I was just at USC yesterday, and they're really focused on great things in science in engineering. There's Caltech, the Claremont Colleges, Harvey Mudd, UCLA. There's a lot of great research and people coming out of those institutions, and creating new companies here. Do you have institutional LPs in your fund, or is this your personal capital? David Waxman: Right now, it's just us. Do you have any idea of how many investments you want to make a year? David Waxman: We'll be making ten to twenty investments this year, but we're not sure if we'll keep up that high pace. We have a bit of a backlog, since we both had our own personal pipelines. What's the best way for entrepreneurs to approach you? David Waxman: It's always great if you can get a referral, but you can also feel free to reach out to me directly--my email is on our website. Of course, if you can get a referral through a person I know, it's much more helpful because I can get that person's opinion as well. I also think that going through the local accelerators can be a good thing, if it's appropriate for your company. It's a great way to get start in LA, because there's lot of support around the accelerators for companies at an early stage. I'm pretty active in all of them as a mentor, and I'm at least a frequent visitors to all of the local accelerators. What's the biggest challenges you see talking with companies here? David Waxman: I think the real key is having enough talent. That's true in the Bay Area, and that's true here. Although they might have more people in the field up in the Bay Area, there's more competition for those people. You had quite a bit of success in the past with your startups. Any advice you would give entrepreneurs? David Waxman: At the risk of sounding like a broken record, both Gil and I were fortunate to hire the right people. I think what you really need to look for is the right people for your team. I think, if you have a no-so-great team, you can take a fantastic idea, and it won't be successful. But, if you have a fantastic team and just an okay idea, you can make adjustments and make it much more successful. As a serial entrepreneur, have you ever thought of starting up another company? David Waxman: This fund is a new company, the way I see it. It's got its mission, and capital, and we're up and working. This is what I'm focused on for the foreseeable future.